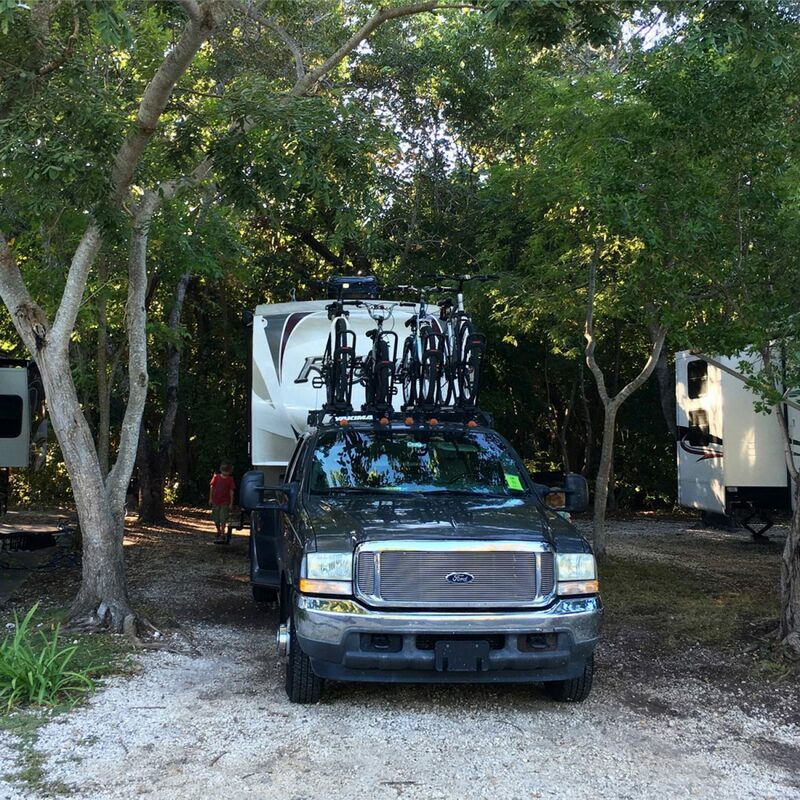 We overnighted at John Pennekamp State Park on our way to Big Pine Key. We called several Wal-Marts and they wouldn't let us park overnight so we made the reservation for the ever so popular John Pennekamp park. It was such a cute little place. I really wish we had more time to explore the area. All the spots were rather tight, but Jonathan backed it up like a boss on the first try. He's getting so great at it! I don't think we have had any arguements over parking in quite awhile! Progress! Although we weren't there long, we got plenty of bites from the no-see-ums and mosquitos to prove that we were, in fact, there. Evidently there is really great snorkling and diving in that area. You can even rent kyaks or go on a glass bottom boat tour. If we find ourselves in that area again, we really need to schedule a snorkeling tour. Maybe by the time we are back there the kids will all be old enough to feel comfortable snorkeling. We really are at a great age with the kids as far as traveling goes, but when they are just a bit older we will be able to do so many more awesome adventures. For now, we will take what we can get. On our way through the keys, we are hoping to find many family friendly (and budget friendly) adventures to tell you about so that when you plan your next adventure, maybe you'll find yourself in the Florida Keys! Stay tuned... we have a feeling this is going to be a really great month!